The Huawei Mate 10 Pro may have completely sold out on Huawei’s official e-commerce sites but you can still pre-order one with a telco contract. Retailing at RM3,099, Maxis is offering the flagship phablet for an incredible price from as low as RM1 with a 24-month contract. That’s a massive RM3,098 off. To enjoy the RM1 offer, you’ll need to sign up for their highest MaxisONE Plan 188 (RM188/month) and add another MaxisONE Share line (RM48/month) that would cost you RM236/month. This additional supplementary line also comes with unlimited calls and SMS, plus additional 5GB of data that goes into the same shared data pool. 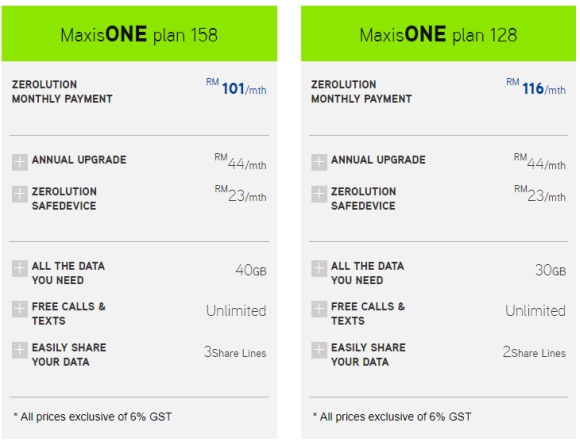 During signup, there’s an advance payment of RM516 required for the MaxisONE Plan 128 and RM834 for MaxisONE Plan 158. For MaxisONE Plan 188, you’ll need to fork out a staggering RM1,746 during sign up. This advance payment will be rebated back to your monthly bill and it can be waived if you’re an existing Maxis customer of at least a year with a good payment record. 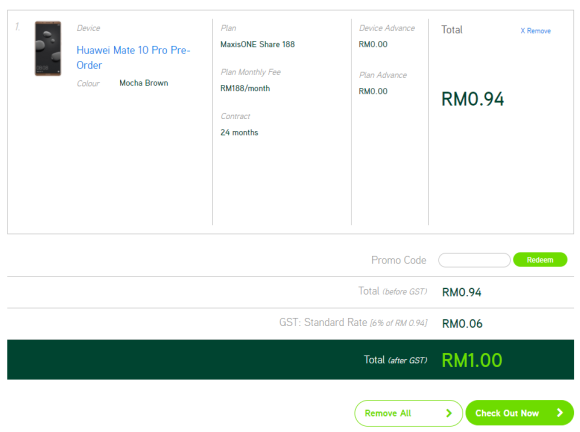 As an existing Maxis customer, we tried to check out and indeed it only costs RM1 if we get the Mate 10 Pro on MaxisONE Plan 188 with additional share line. If you don’t want to pay anything upfront, the Mate 10 Pro is also available on Maxis Zerolution. 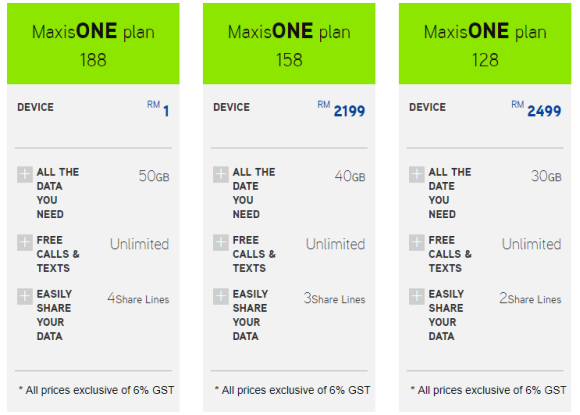 It only costs RM116/month with MaxisONE Plan 128 and RM101/month with MaxisONE Plan 158. These monthly figures for the device only and they don’t include the monthly postpaid subscription, optional RM44/month zerolution upgrade fee and RM23/month device protection add-on. As part of their pre-order promotion, the Mate 10 Pro also comes with a Huawei fitness band, smart weighing scale and a Huawei Mate 10 VIP card which gives you a 3-month screen protection. The Huawei Mate 10 Pro will be available in Malaysia on 24 November 2017. 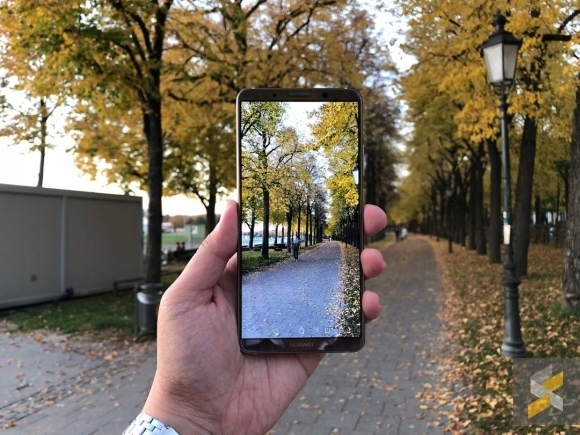 For more info, you can visit the Huawei Mate 10 Pro page.